Price includes a complimentary juice or nut milk during the workshop. Join Good Life Juice founder Andrea Dershin and ignite your passion for eating your veggies, drinking your greens, and feeling your best. Sometimes you need a little fresh inspiration, knowledge, and a friendly kick in the rear to to take care of yourself in a big big way. We’ll chat plant based nutrition, mindful eating, meditation, and self-care. An all-round motivator to get you focused on nourishing your body, mind, and spirit. Andrea Dershin is the founder and CEO of Good Life Juice – Vancouver Island’s premier cold pressed juice company. 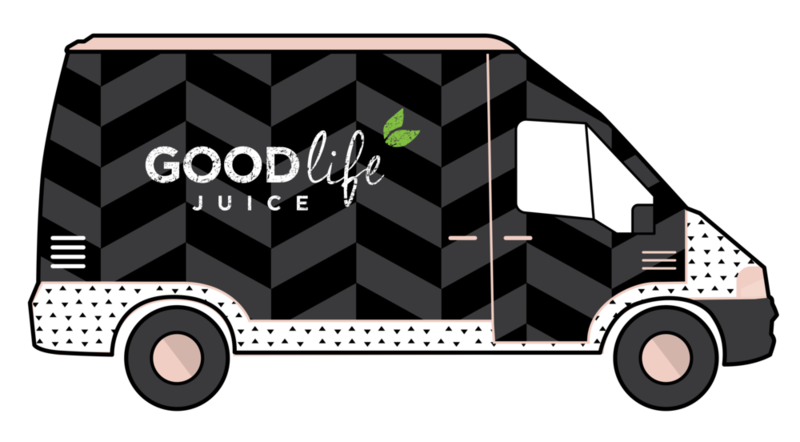 Founded in 2014, Good Life’s mission is to inspire their community to live a healthy and vibrant lifestyle, all the while making it easy to crave their vegetables! In 2009 Andrea received her 200hr Yoga RYT in Brooklyn NY and offers her students affirmations and intentions along with a Vinyasa flow to help her students find a little extra peace each week. In 2012, Andrea received her certificate in plant-based nutrition through Cornell University and the T.Colin Campbell Foundation. She is an avid yogi, devoted mama, spirit junkie, and loves blasting good tunes and dancing with whoever is the mood to join her.